Ovente Electric Kettle Review - Should You Buy This Kettle? Ovente Electric Kettle Review – Should You Buy This Kettle? 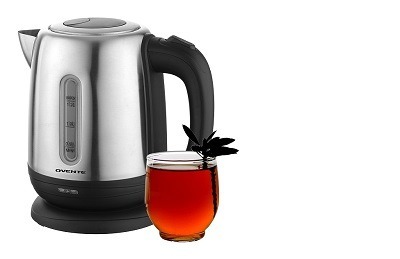 Ovente cordless electric kettle is made of stainless steel and it has capacity of 1.2 liters. It’s brushed and and it has power of 1100 watts. This model has various useful features which you will find amazing. Kettle is very efficient, and around eighty percent quicker than stovetop kettle. Kettle has element for heating, it automatically turns off when water is boiled and there is also good safety feature – protection against dry boiling. You don’t have to worry about that did you forget to turn kettle off because there is indicator with LED light that shows you if kettle is turned on or off. Handle doesn’t get warm and filter is easy to clean. Base can be turned around for three hundred and sixty degrees, while cord is thirty inches long which is more than enough even for most demanding users. Ovente eletric kettle has dimensions of 8.4 inches x 6.7 inches x 9.9 inches, and warranty lasts one year. Kettle is very elegant and classy and it is definitely worth buying. Design of this kettle is very nice. It has nice light that adds modern effect to your kitchen. It is made in China, and this is very common for small kitchen appliances. There is a function to keep water warm for two hours. According to seller, you have to press turn off button and hold it for three seconds. If it is time to replace your old electric kettle, this model will be definitely excellent choice for your kitchen. There are several different settings for temperature, and for very affordable price, you can prepare your favorite hot beverage every day. Kettle works very quickly, you can start working day with your favorite cup of tea. Kettle is not loud, and it works fast and effective. While you wait for your bread to be prepared in a toaster, you can also wait for water to boil. In this way, you can have cup of tea with your breakfast without losing much time. Because of LED lights, kettle looks straight up like fro sci-fi movie. If you like futuristic design, this is great model for you. It boils water in around five minutes and this is more than enough even for most busiest users. This model should not be beeping when water is boiled, and according to users, this is definitely a good thing. Capacity is not high, but it’s more than useful if you are in a hurry and you have to prepare tea or any other hot beverage in the morning. Because it is fast in boiling water, you can save some electricity every day. And, you should probably know how to use Ovente kettle? If you haven’t use electric kettle before, you should check manual and follow instructions in order to get the best out of this product. First, you need to fill kettle with water. Add water according to your desired level and if you are not sure did you pour enough water, check indicator for water level. After this, put kettle into base and put kettle in. Push down steam switch and wait for around five minutes. Boiling water will be ready for serving in a no time. You can prepare tea, oatmeal or even cereal. There is a manual if you are not sure about how to use kettle for the first time, so you better check it out first. If you can’t imagine your breakfast with tea, this Ovente kettle will be your new best friend. Kettle is made of stainless steel, but we are not sure is it BPA free or not, so you have to ask manufacturer or a seller about this information. There is a bit of smell of plastic when you use kettle for the first time, but according to seller, this is normal. You just have to boil water for several times in order to get rid of that smell. Most positive thing about this model is that it looks modern and it works very fast. Water boils in just a couple of minutes, depending of water temperature settings and level of water in the kettle. Kettle looks cool and it will give nice modern design to your kitchen. Some customers have very nice experience with this kettle, but of course, issues can happen. If you notice any kind of problem, and it happened in the one year frame, because warranty lasts one year, contact seller and they will help you resolve issue without any delay. Some of its downsides that happens are – possible brown spots inside, close lid can get stuck after excessive use, limited life cycle. Some customers experienced that kettle lasted only six months, for some of them kettle lasted more than two years. UPDATE: If you need bigger kettle, you should consider Ovente 1.7 l BPA-free stainless steel kettle. Ovente 1.7 Liter BPA-Free Stainless Steel Cordless Electric Kettle is kettle with 1100 watts of power and auto shut off feature. It also has protection against dry boiling, if there is not enough water in tank. Handle stays cool so you can use it safely. Kettle has almost fourteen hundred reviews, and around fifty seven percent of five star ratings. It’s available in red, beige and brushed color. Every tea enthusiast has to invest some time to get cup of favorite tea that tastes as best as it could. To get this type of taste, you have to find electric kettle with good performance and nice features, and Ovente electric kettle is one of them. You should use an electric kettle according to manual and manufacturer’s instructions and this way you will prepare tasty tea every single day. Ovente kettle will definitely meet your expectations and with more than thousand mostly positive reviews this model is definitely good choice for your kitchen. Most customers thinks that electric kettle made by Ovente is fantastic. Automatic feature for shutting off is great. You don’t have to stand close besides kettle and wait for water to boil. There are several colors of kettle to choose from. You can match it up easily with the color of your kitchen. You can use it at home or in the office, it does great job and your family, friends or co-workers will love it. 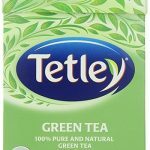 Where to Buy Matcha Green Tea Powder? Here is the Answer! Which travel kettle to choose? Readyfortea.com is a participant in the Amazon Services LLC Associates Program, an affiliate advertising program designed to provide a means for sites to earn advertising fees by advertising and linking to Amazon.com. Amazon, the Amazon logo, AmazonSupply, and the AmazonSupply logo are trademarks of Amazon.com, Inc. or its affiliates.